I write short articles as well as long feature “explainer” articles on topics including: Smartphones and Tablets, National Broadband Network (NBN), Space, Civil & Military Aviation, Ebooks and the Publishing Industry, Electric Cars, Technology augmenting human capabilities etc for Geare Magazine. The editor of GEARE has kindly permitted me to post articles here after the magazine issue the article was printed in has passed its shelf life. Some time in 2011 year, the number of smartphones being sold in Australia will likely top the number of basic feature phones. And while the iPhone leads these sales as a single product, Android is catching up fast. In the US there are already more Android phones being sold than either iPhones or BlackBerry models, according to NPD Group figures for the second quarter of 2010. Yet only five years ago the established phone manufacturers were still smirking in their saunas at the notion of computer companies competing against their firmly entrenched and feature-filled phone market. Apple knows nothing about phones, they said. As for Google, it was a search engine with a sideline in online ads. Yet even then, two years before the launch of the first iPhone, Google was already in the game. 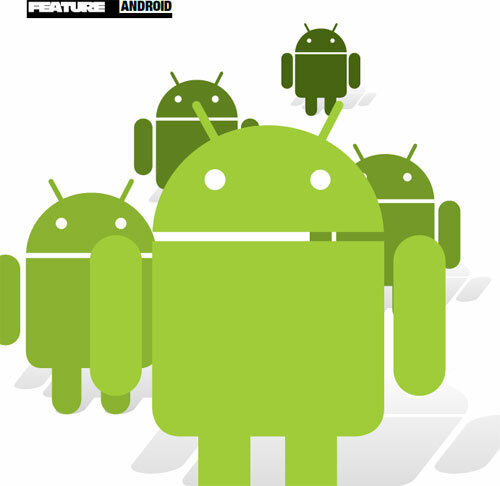 Most people probably don’t know that the genesis for Android was outside Google itself — Google purchased the startup ‘Android Inc’ in mid-2005. In an article at the time, Businessweek presciently predicted that Android Inc was “working on a software operating system for cell phones”. Android was no overnight success. 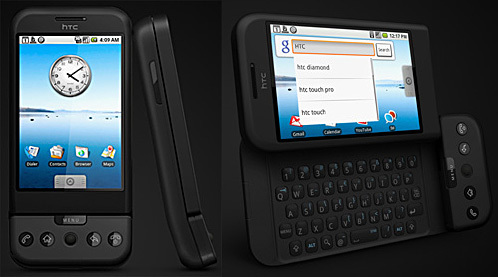 It took almost four years before the first Android phone, the qwerty slider HTC Dream (marketed as the T-Mobile G1 in the USA) was available for purchase. 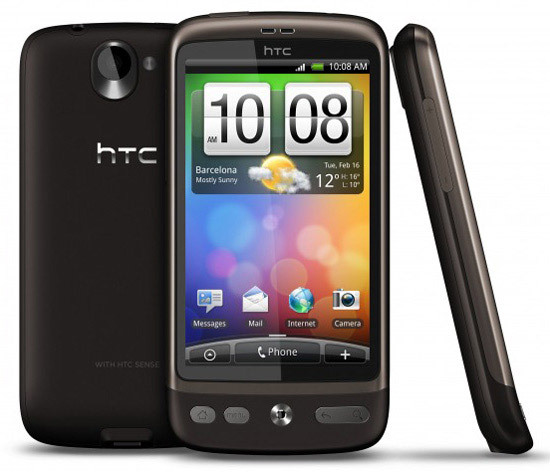 The HTC Dream was an ugly but functional phone, and its operating system, Android 1.1, was very rough in places. It didn’t help that Optus was the first Australian mobile carrier to sell Android phones in Australia, and it was exceptionally slow at releasing firmware updates for the HTC Dream, not to mention intransigently blocking access to paid apps in the Android Market for a year. Still, the HTC Dream did provide a glimpse of what was possible in the future. Early Android adopters were rewarded with useful features that the Apple iPhone lacked, such as contacts, email and your calendar stored in the ‘cloud’ for free (Apple charges AUS$119/year for it’s similar Mobile Me service). There were multiple customisable home screens, information widgets, and true background multi-tasking (e.g. Twitter, push email, GPS tracking). Since then fast iterative improvements and regular updated versions of Android have helped the operating system to meet the needs of its users, and eventually mainstream interest in Android picked up, with the Motorola DROID notching up impressive sales in the USA from late 2009 and the May 2010 HTC Desire launch by Telstra in Australia. At the same time, however, there has been fragmentation. In late 2010 there were phones being sold by carriers in Australia with Android versions varying from 1.5 through 1.6 and 2.1 to 2.2. For Google, the ultimate goal for Android is to enable mobile and tablet owners to use the internet more, in the hope that this will inevitably lead them to more Google services and thereby raise revenue for the company. But the actual design and manufacturing of the phones is left largely to members of the Open Handset Alliance, such as Motorola, HTC and their mobile carrier partners in major economies like the USA and UK. Unfortunately, rather than shipping with the version directly from Google, handset makers in the Open Handset Alliance often decide to overlay their own company user interface (UI) layer on Android phones. It’s similar to the way companies like Dell, HP and others have a habit of loading autostarting bloatware onto their consumer PCs and laptops. Some of it might be useful, some of it almost certainly won’t be, and any of it can affect performance basics. HTC’s Sense is currently the best of these proprietary UIs, followed by a decent but patchy effort from Sony Ericcson (with their Timescape and Mediscape applications), and distantly followed by the woeful MOTOBLUR used by Motorola in its mid-level and budget Android handsets. So, might Android evolve too fast without proper planning and collapse in a big green heap? Or will it become the de facto mass market smartphone operating system, leaving the iPhone to dominate the high-end luxury market? As we’ve seen, five years can be a long time in a high technology market like this. But with more than 10 million Android devices being activated by customers every month around the world (as at Feb 2011) and new fast dual core CPU Android phones and Android Tablets as a sign of things to come, things are looking good for Android’s ongoing development. Before you buy If you’re thinking of buying an Android phone, there are a few key things to bear in mind. Avoid buying a phone with a version of Android that’s more than one version behind the current release. It restricts your ability to use the latest Android apps. Don’t leap into the first contract you find. Make sure you’re awareof all your options, including those besides the traditional two-year contract with Telstra, Optus, Vodafone or 3. Many savvy Australian fans of Android have bought their new phones before the official Australian launch, from American or European stock sold by Clove and Handtec, or from Australian importer Mobicity. Also reject any Android phone or tablet that has an old single touch resistive screen. Resistive screens have a much inferior user experience and are holdovers from the days when mobile phones used a stylus for user input. Make sure your new phone or tablet has a capacitative screen. This article was originally published in GEARE Magazine issue #63. It is “digitally reprinted” here with permission from the editor. Just visited the Verizon store last weekend to compare Galaxy Tab and Xoom after seeing the iPad. I like the size of the Galaxy as it can barely fit in my pocket, whereas the larger tablets almost feel like walking around with a laptop. I saw the Tab recently and mistook it for a nook 🙂 Think I’m staying away from the Xoom after reading David Heinemeier Hansson’s review of it’s UI on twitter. He returned it! Think I will stick with the Blackberry, very interesting article though! Thanks for the info. Open source indeed brings about many advantages and Android is a great OS that will definitely give Apple some serious competition and as consumers, we tend to get benefit from the lower costs of owning Android devices due to competition. Whilst apple’s ipad looks great as a toy, I’m still not too sure what the advantage of it over an iPhone, apart for just being a bit bigger? Not quite so pocket friendly. I went back and bought the Motorola Xoom. I love it so far! It makes sense to me that Google’s open technology is beating Apple’s expensive proprietary technology. Is the Samsung Note available in Australia?